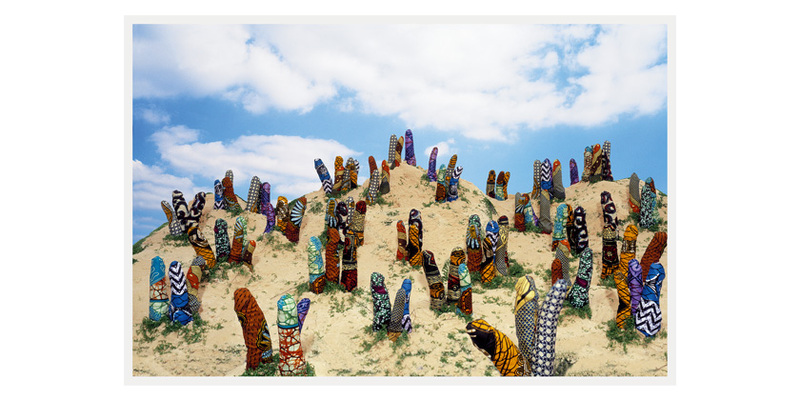 Yinka Shonibare´s objects and installations form a complex field made up of historical, art historical, cultural, and economic references, thus calling fundamental claims of cultural authenticity into question. In some of his more recent works, Shonibare deals with culturally charged frames of reference by reproducing interiors, famous portraits, or genre paintings from England´s Victorian era and covering them in African fabric, as he does in the installation photograph shown here. The fabric´s colorful, ornamental patterns awaken immediate associations with authenticity and exoticism. Yet its complex history makes it clear that symbolic quality is already a construction marked by the trading routes of the colonial powers.